TACLOBAN CITY- Mayor Stephany Uy-Tan, Vice Mayor Sherwin Gabon and seven councilors of Catbalogan City were suspended for six months by the Office of the Ombudsman. The suspension of these city officials, along with other City Hall employees, stemmed from alleged irregular purchase of a lot and on the leasing of the city public market to a private company. But a source told Leyte Samar Daily Express that Mayor Uy-Tan has yet to receive the decision of the anti-graft court. Aside from Uy-Tan and Gabon, also ordered suspended by the anti-graft court were Councilors Coefredo Uy, former mayor and father of Mayor Uy-Tan; Maximo Pescos; Edward Uy; Christine Jos Escobar; Beethoven Bermejo, Rodolfo Aquino, and Nanette Jasmin. Also suspended were city assessor Romero Tuazon and his assistant Arthur Macabare and Rizal Ignacio, employee of the City Assessor’s Office. All the officials were said to have committed abuse of authority, grave misconduct, and gross neglect for the purchase of the property from private individuals. 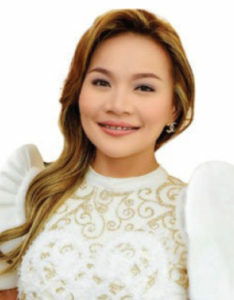 The complaint against Mayor Uy-Tan and her co-respondents was filed by Bernard Jake Ramos, a city council legislative staff officer, who claimed that they purchased an agricultural land owned by Alvin Cesar Laohoo and Lorenzo Laohoo, Jr. at an ‘exorbitant price’ of P120.225 million when the property had only a market value of P155,497.84 in 2016. The anti-graft court also slapped a separate six-month preventive suspension against Mayor Uy-Tan, Councilors Coefredo and Edward Uy; Pescos and Bermejo and assistant assessor Macabare and Renante Aquino for grave misconduct and gross neglect of duty. This arise from a separate complaint filed by vendors of city’s public market on the decision of the respondents to lease the city public market to a private company.